On one hand, when every co-star of Ranbir Kapoor can’t withhold going gaga about the latest heartthrob of the nation, there is one lady who is full of complaints. Yes, Gauhar Khan, one of the leading ladies in Rocket Singh- Salesman of the Year, who had been kept under wraps till now is fuming. Nevertheless, she opens up and shared some candid moments on the sets while working with Ranbir and surprisingly she doesn’t have all good things to say about him. Apparently, it seems Ranbir gave her a hard time on the sets while shooting. Gauhar exclaims, “I play the receptionist at Ranbir Kapoor’s sales company. 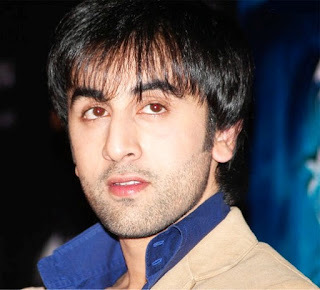 And trust me, Ranbir used to be so naughty on the sets. Before taking the shot, I would sit on my desk and he would fiddle with the stamp by thumping it on my arm.” Gauhar continues, “Ranbir would go on stamping my arms with the inked rubber-stamp. I would get very irritated; to which he would say it will go in one wash. He used to be so very troublesome.” Well, Gauhar this is just the beginning. Pranks are the part and parcel of every actor’s life on the sets. Hope you get used to it soon.